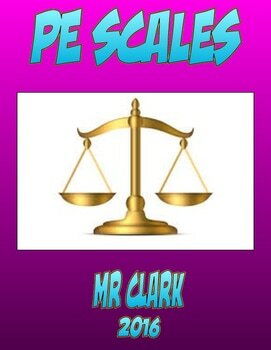 Scales and Ratings help direct students towards self-reflection during the learning process. It is an awesome tool for any teacher to see/understand where their students believe they are and where they actually are. 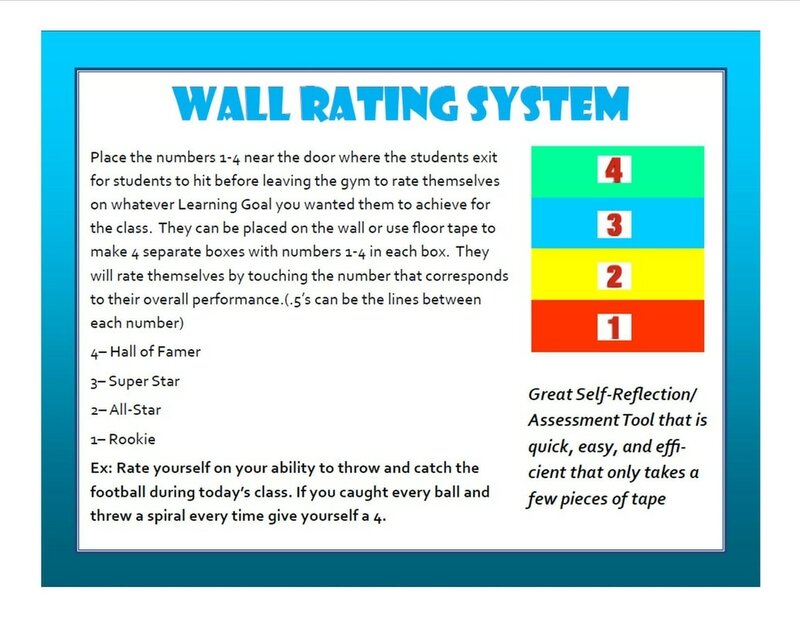 The job of a quality instructor is to learn where their students are (by offering positive, and encouraging scales) and to then come up with a game plan on how to get them to the highest level possible on that scale for each and every student through meaningful lessons and activities. Have students place stickies/clips on a wall to rate their understanding before they enter the room, throughout the lesson, and before they leave. 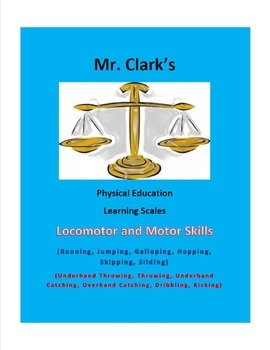 Students will be able to differentiate changes in movement such as speed, tempo, and space.